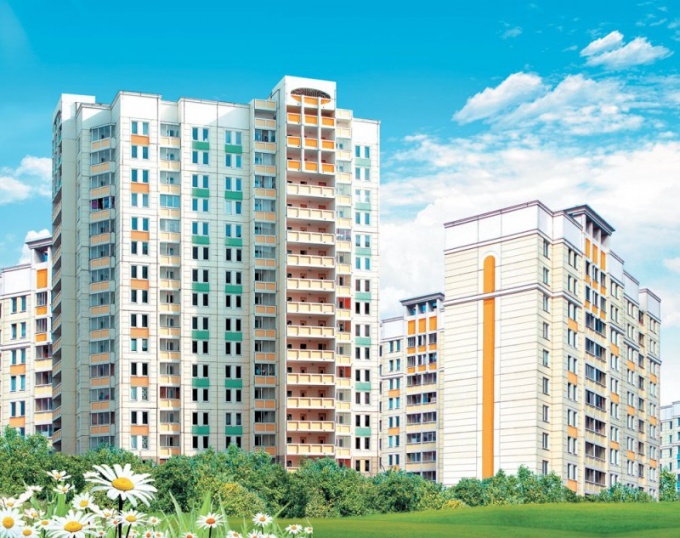 Tax deduction is available to all citizens of the Russian Federation with the purchase of an apartment or residential building (its construction) in the territory of the Russian Federation. Such a deduction is put to citizens whose income is subject to 13% income tax and includes the amount spent on the purchase of housing or interest on a mortgage. In order to apply for a tax deduction, you will need to provide the tax authority at the place of residence the following documents. First, you must write a letter to the head of the institution about obtaining a tax deductionand the purchase, construction or mortgage lending. You must have the original certificate of title to the apartment a contract of purchase and sale, act inthe EMA and transfer of the apartment, all the payment documents confirming the fact of transfer of money (receipt of the seller, a copy of the payment receipt of the fee receipt withjednym orders, cash receipts, etc.). These documents whenput the Declaration of income for last year and the loan agreement, if the apartment if youacquired a mortgage. The point to issue tax deduction is only when you receive official salaries. Take the employer a certificate 2NDFL on wages and when youattach it to the rest of the documents. If you want to get a tax deduction at the place of work, you don't have to fill in a tax return. The staff of tax inspection on your claim in 30 days give you hands on help on the situation of the benefits. This document is if youcarry in the accounting, and on its basis you do not deduct income tax within a certain time. The certificate is issued for the current period, and every year you need to renew it. Therefore, all documents need to be provided annually to the tax authority to confirm your eligibility, as long as the money is paid.If when youfound the apartment not pay you, and, ifmeasures, the employer, the tax deduction you are granted. The Statute of limitations for the tax deductionand is not included. If annual salary is a lump sum deductionand the payment transferred to the next year. Tax deduction you can get once in a lifetime. If the apartment is bought in joint ownership each co-owner is entitled to a deduction, calculated on the basis of 50% of the size of the apartment cost. To issue tax - deductible to the apartment through a tax deduction is beneficial when you don't want to know about it a wide range of people, you work several jobs, you need a large sum of money at once.To make deduction at work good when you get a small salary, or, on the contrary. When you have a greater wage, then you get the whole deduction faster. If you apply for a tax deduction on apartment purchase using mortgage, in addition to the loan agreement, you must provide a statement from the Bank about the interest repaid for each year, a statement of cash flow for repayment of the loan from the moment of its design until today. After that, the tax authority will review your application with inapplication and provide an answer within three months from the date of application. The funds can be obtain at the expense in the same period for the current year. Each year you must renew your right to benefits, and provide a new package of documents to the tax authority. Buying a private apartment, as a rule, is associated with high monetary costs. Anyway, apart from the joy of purchase their own homes, you are entitled to the exemption granted by the Tax code of the Russian Federation in the form of a property tax deduction. Having handed over necessary documents to the Tax office, you will receive a refund that will help compensate the expenses on purchase of the apartment. • the statement in the free form to receive a tax deduction. Property tax deduction for the purchase of housing is provided to residents of the Russian Federation once in a lifetime. They can use taxpayers paying income tax on the income of physical persons (NDFL).Right to use the tax deduction do not have citizens who buy housing at the expense of the employer, the parent capital, dividends, lottery winnings, or payments made from funds other Federal and regional budgets. Also deprived of this right, citizens who have purchased housing from related parties. In any case, before registration of all documents on a tax deduction, you should consult a tax inspector about whether you have the right to this tax deduction. Since January of 2008. property tax deduction for the purchase of apartments given to citizens under the Tax Code, in the amount of actually incurred expenses but no more than 2 million. Practically, this means that the amount refunded to you tax will be 13% from 2 000 000, i.e. up to 260 thousand. So, previously you have already calculated the amount of the refund. Now you have to collect the necessary documents. To collect the necessary information and make copies of them – a simple matter. The most difficult step here could be the filling of the tax Declaration under the form 3-NDFL, if you've never done this. The easiest way is to seek the assistance of firms or individuals that provide services for completing tax returns. Ads about such services you can find on Bulletin boards next to the tax authorities or online. You can also learn self-completion returns. Forms of declarations in free access can be obtained at the offices of the tax inspection at the place of residence for work with individuals. Forms in a tabular format Microsoft Excel to fill the tax returns electronically can be found online on various websites. In this case, the tax inspectors are advised to pre-fill the Declaration sheets in pencil so that you can later submit after verifying the fix. 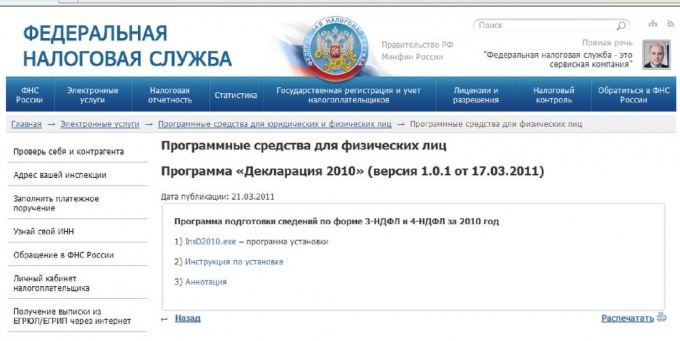 If you pretty good targeting computer and repeatedly filled all sorts of forms in electronic form, you can help specially designed Tax service of the Russian Federation the program "Declaration". On it you can go to the following link: http://www.nalog.ru/el_usl/no_software/prog_fiz/3779682/. Here you will find both the program itself and the instruction on its filling. The convenience of this service are obvious: the program does all the calculations for the amount of the tax refund. 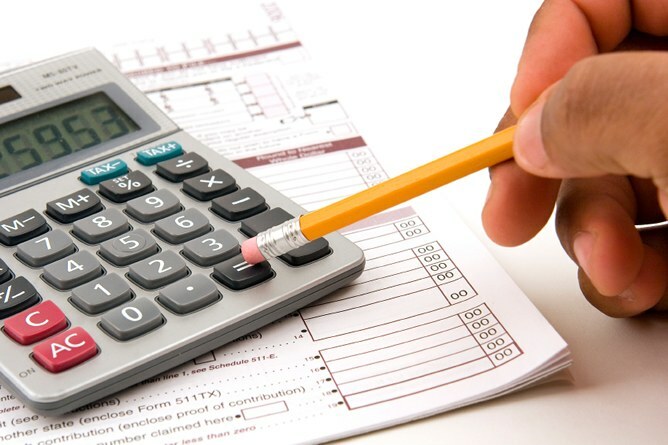 The results of calculations in the form of completed tax returns and printed and dumped on a diskette or other electronic medium, and deliver to the tax office at the place of residence. Ask in advance in the tax office of their district on what types of media they have accepted the Declaration. This method of submission of the Declaration will significantly speed up the processing of your reporting and the removal of the final decision to refund to you any tax amounts. • photocopy of the passbook (front page in expanded form). After some time, usually within a month, means a tax deduction will be deposited into your Bank account. On the same period of time you will receive from tax inspection the decision on the transfer to your account specified amount. If the amount credited to you for tax deduction beyond the amount you paid income tax during the specified year, the calculation of the property deduction breaks for several years. In this case, the Declaration on the income you will need to take in subsequent years until it is repaid the full amount of the tax deduction. After one year after the transaction of sale of an apartment, the buyer can issue a tax property deduction, that is, to recover previously paid income tax in the amount established by law. The total amount of the tax refund when buying an apartment is not more than 13% from 2 000 000 rubles, that is 260 000 rubles. In addition, to tax property deduction it is possible only 1 time in my life. In order to get the tax deduction, you must prepare the following documents. The application to receive property tax deduction. A sample statement can be found on the official website of the Federal Tax Service through the search engine. The statement is written to the head of the Inspectorate at the place of residence, it specifies the object that was purchased, and lists the documents proving the fact of purchase of the real estate. In addition, the statement must specify the details of the Bank where you opened the account of the buyer, and which will be transfer the amount of the tax deduction. Declaration on the tax to incomes of physical persons. The form and a sample Declaration form can also be found on the website of the Federal Tax Service, if the filling is difficult, you can go to specialized companies that for a modest fee, will prepare the necessary document. Certificate of employment in form 2-pit. The certificate will reflect the amount received in the reporting period the income and the withheld amount of tax to incomes of physical persons. Copies of documents confirming the purchase of the apartment, there is a contract of sale. Also need a copy of the certificate of registration of right of ownership and the copy of the act of transfer and acceptance of real property. These documents along with a passport and was required to provide to the tax Inspectorate by place of residence. In that case, if the amount listed in the reporting period less taxes tax deduction, the balance will be paid in the following year. Russian law obliges every working citizen to pay income tax. However, the part of the amount paid into the Treasury of the state, man can return. The basis for obtaining tax deductions, namely the so-called process of refund from the budget to the taxpayer, serve the confirmed treatment expenses, education, purchase of housing. - passport of the citizen of the Russian Federation. Make sure that you are entitled to a property tax deduction. You have the right to compensate expenses for purchase of houses, apartments, shares in residential premises, land plots for individual building or plot purchased with the house. In addition, to reduce the taxable portion of the income on the amount of interest on a mortgage. This benefit is not available if the citizen has already received a property deduction. To return money when buying housing only once in life. All expenses must be paid by the taxpayer, and not other persons, for example, by the employer. To receive a deduction will not be able family used for the purchase of apartments or individual houses "maternal capital" or funds received under state and municipal programmes for the improvement of living conditions of citizens. There are no tax incentives for housing, bought from relatives, creditors or debtors. Unemployed Russians can get a property deduction, if he sold his old house and paid the amount received from income tax at the rate of 13%. Pensioners who have no other taxable sources of income, the balance deduction will be calculated according to their salary during the three pre-retirement years. Remember: the maximum size of the deduction for the purchase of housing is 2 million rubles. This amount will be returned to 13%, i.e. 260 thousand rubles. If your property is worth, for example, 3 million rubles, the deduction you will receive only 2 million But when you buy cheaper housing tax credit will be calculated from its actual value. For example, a Studio apartment cost 750 thousand rubles. For her you are supposed to 13%, i.e., 97500 rubles. Additional opportunities exist at the newcomers, who used a mortgage loan. They can apply a property deduction on the monthly payments on the loan (interest). Buying an apartment in a new building without interior decoration, you can also reimburse for the purchase of building materials for finishing works. Select the method of receiving a property deduction. You have two options: tax office (the amount will be transferred into your Bank account) or through an employer (from your salary a certain time will not be deducted 13%). Prepare documents for submission to the tax office. To apply for a property deduction you need at the beginning of the year following the year of purchase. For example, you purchased an apartment in July of 2011, so contact the tax authorities should in January-February 2012. You must submit originals and copies of legal documents. Tax inspection officers will review your application and determine the maximum size of a property deduction. When receiving the deduction for the employer, don't forget to get in on the notice of the right to tax relief. This document you must submit to the accounting Department of their organization. The property must be purchased on the territory of the Russian Federation at the expense of the citizen, or the use of a mortgage loan received in the Russian Bank. The purchase of housing is an expensive purchase, which requires not only the involvement of all available funds, but the loan. However, it should be borne in mind that buying a flat, part of the spent money can then be returned back. The order of return of funds in the implementation of large expenditures, including the purchase, regulated by the Tax code of the Russian Federation, was on the Statute books of our country at number 117-FZ of 5 August 2000. Subparagraph 3 of paragraph 1 of article 220 of this normative-legal act envisages that when you purchase an apartment the citizen of the Russian Federation has the right to receive so-called tax deduction, which is a decrease in the amount of cash that is taxed. In fact, it means such a citizen the right not to pay tax on that amount, which is commonly implemented by returning him overpaid. The tax deduction can be done in two basic ways at the taxpayer's choice. The first of them is the exemption from taxes on income, for example, on wages. In this case, during the period when the tax deduction, the employer will pay such a citizen salary without paying her income tax in the Russian Federation is 13%. In this case, such increased wages would be paid to the citizen as long as he does not get the full amount of the tax deduction for the expense of an increase to her. The second method is the application to the territorial body of the Federal tax service, which returns a lump sum to the taxpayer the amount paid in taxes for the past tax period, often a year. It should be borne in mind that to get your hands on an amount in excess of the total amount paid for this tax year, will not work. If the amount of the tax deduction exceeds this value, the remainder of the money will be transferred to the next year and so on. The amount of money that the taxpayer can return when you buy an apartment directly stems from the provisions of subparagraph 1 of paragraph 3 of article 220 of the RF Tax code. This section of this regulatory act establishes that the maximum amount that can be withdrawn in the acquisition of property from the tax base, is 2 million rubles. Thus, as a tax deduction to the taxpayer can be refunded 13% of the specified amount that is in terms of money, 260 thousand rubles. It should be borne in mind that to get the money either way you like upon purchase, and when buying shares in the apartment, rooms, detached houses and even land. If you bought an apartment, house or other property, which has the status of residence, you can take advantage of the tax benefit provided from the state to citizens. To get a property deduction are citizens with the income that is subject to income tax and who bought a house on the territory of the Russian Federation. It is necessary to collect the documents and pass it to the tax office. The tax legislation of the Russian Federation, in particular article 220 of the tax code, provides for return of income tax paid when buying property. 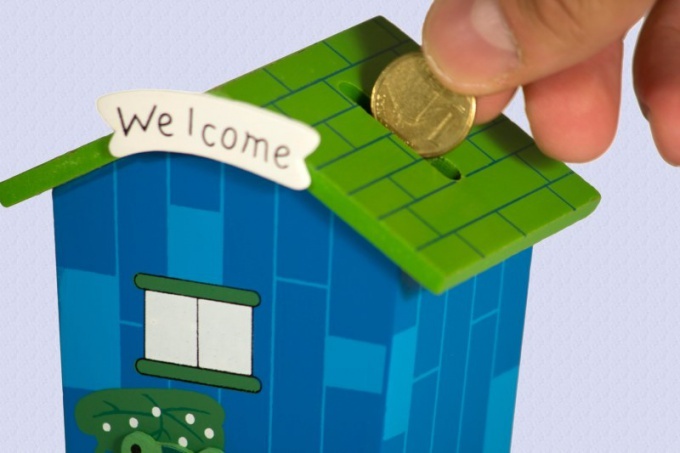 Part of the money can be returned when buying an apartment, private house or land plot. 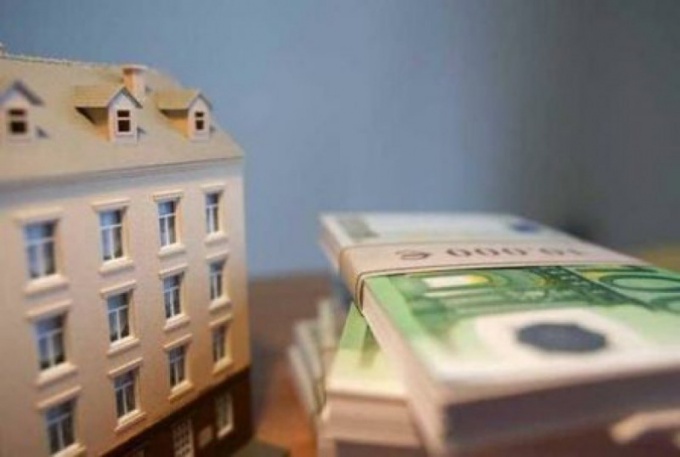 The amount of income tax is 13% of the cost of real estate, but the maximum amount accepted for tax deduction, should not exceed 2 million rubles. Property tax deduction you can get when buying a home, land for individual housing construction, for the interior of the housing, if the object was purchased from the Builder without finishing, costs paid to the interest of the target credits (a mortgage, a loan for the construction). 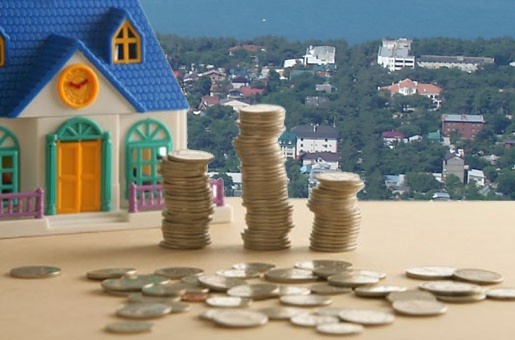 From January 2014, the deduction on mortgage interest is limited to the amount of 3 million rubles. The tax authority may refuse to grant tax deduction if the contract to purchase real estate entered into between related parties (parents, spouses, children, employer, siblings) or the person has already used their right to receive a tax deduction. Documents to be submitted to the tax office for tax deduction: copy of passport (sufficient pages with photo and address of registration at place of residence); copy of certificate on assignment of taxpayer identification number (tin); the original certificate of income on form 2-NDFL and the copy of a passbook or account details; copy and original of the title document on real property (document on the basis of which acquired the property); copy and original of the right supporting documents (certificate of ownership). If the object was acquired under the agreement of share participation in construction, you must provide a copy of the original act of acceptance-transfer of object of apartment. If the apartment was purchased with the assistance of credit (mortgage), you must provide a copy of the original credit agreement for the purchase of apartments, the original of the certificate from the credit institution (Bank) on the amount of interest paid, the original payment documents confirming the payment under the credit agreement. To the above documents, you must attach a statement on the granting of a property deduction and the completed tax return on income of physical persons under the form 3-NDFL. 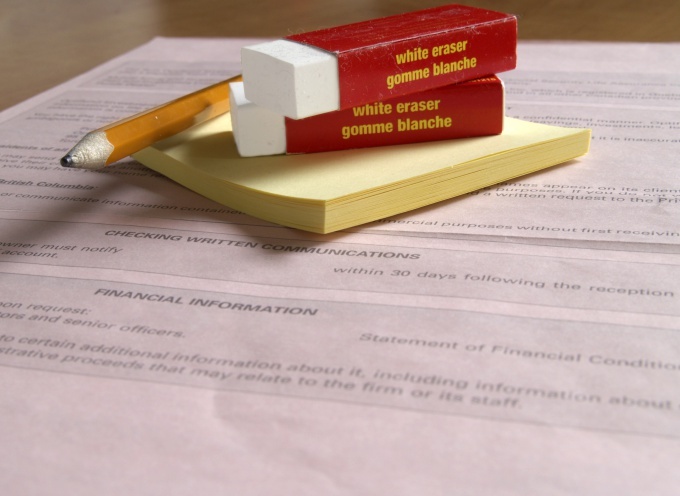 The full set of documents necessary to make an inventory of transmitted to verification of documents. Documents can be sent by mail, and you can bring to the tax office in person.